Trust is something that has intrigued and frustrated me in equal measure so far this year. It’s a recurring theme in family relationships, organisational culture and especially teams, but of course, anywhere and anytime that people are connecting. I think it’s been playing on my mind because of the power it has to hurt and heal – I’ve seen a fair bit of both lately. It’s widely known and written about that openness and vulnerability are two core steps that contribute to building trust. Lots of leadership writers will mention it in passing, yet in my opinion not give it enough of a centre stage. It’s just so critical and yet a chicken and egg issue: We need to feel trust to be vulnerable and we need to be vulnerable in order to trust. I seem to have been going through a period of coaching and facilitation where these themes have raising their head increasingly often – or maybe I’m just noticing it because that’s the mindset I’m in? Either way, myself and colleagues have been deliberately reading, experimenting and exploring ways to build trust faster and more effectively – so that it is lasting and sustainable. There’s no silver bullet and we all get it wrong along the way. To really bring about substantial performance improvements – you need trust. Individual self awareness and individual accountability within a team has a bearing on the speed and extent of change. The higher the awareness and accountability to begin with, the better. So take time to notice and assess these factors before diving in. Ego and self-serving motivations seem to slow progress quite substantially, probably because self-centredness is not conducive to someone else trusting your motives. So if you spot particular individuals failing to display enough appropriate humility for the relationship you’re working on – tackle it early on because it’ll just raise it’s head again. Here’s something else I wrote previously on ego. Brene’s daughter came up against some teasing and bullying from other girls after she had disclosed something embarrassing about herself. In tears, she decided never to tell anyone anything again. Yet exploring it together Mother and Daughter they considered friendships and relationships through the marble jar idea. 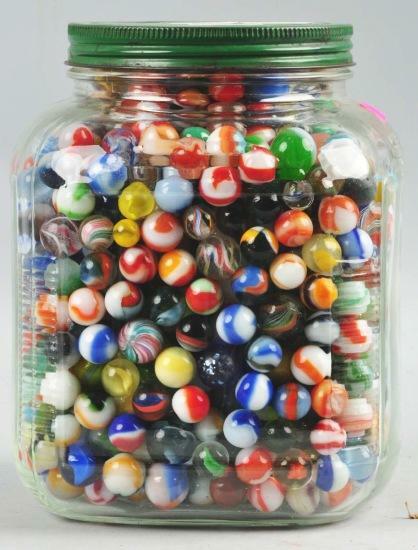 Considering “when someone supports you, or is kind to you, or sticks up for you, or honours what you share with them as private… then you put marbles in the jar. When people are mean, or disrespectful, or share your secrets, marbles come out.” And the story continues to explore the little moments of truth that mean marbles top up or come out e.g At face value I saw that as a simplistic point scoring exercise – with more thought I grew to like the evidence based approach it takes. The reality is, most people have long memories when it comes to being hurt, betrayed or let down. Therefore taking a practical approach to assessing whether a relationship is valuable enough to invest in, and to notice the dynamics of that relationship being two-way and with joint investment, works well for my values set. It’s also a nice and easy encouragement to notice the positive, constructive moves that you and others are making – rather than fixating on all the things that are causing pain, annoyance or other issues. So there you go. Some food for thought I hope. Some ways to look at your own situations that might shed fresh light on the way you’re approaching this important facet of life, love and leadership. The concept of it being courageous to be vulnerable, that it takes real strength to reach out and be open is challenging. At first it seems the opposite of what traditionally defines an individual as being ‘strong’. The ideas relating to trust and connectivity that you raise, particularly from Brene Brown’s work, I found, require a sizeable shift in mindset and felt like a change of direction of travel, for me anyway. (Prior to reading ‘Daring Greatly’ I would have defied the goal of being emotionally self-sufficient as a positive one). by using the marble jar analogy to assess whether a relationship is valuable enough to invest in and to notice the dynamics of that relationship, that it’s not the case. As, in each situation, the marbles show it’s about building from a different start point. So whatever the relationships’ context, it feels both positive and constructive. Thank you so much for pointing me in this direction. I loved and hated ‘Daring Greatly’ in equal measure as I couldn’t just passively read it. It demands action. For me, it fundamentally redefined the concept of what it is to be brave. What a fabulous response Clare – and your final paragraph really evokes the impact it has made for you. Exciting and incredibly rewarding to read this. Thanks for taking the time to share the journey so far for you with this whole concept. It’s been good working with you because of your quest ‘to really get to the bottom of things’ and innovate, synthesise and create new directions for yourself off the back of your discoveries. Happy travels!